You may have seen the episode of BBC 2’s Top Gear, aired on 17th July 2011, in which “Jeremy Clarkson, Richard Hammond and James May attempted to make train travel faster and more interesting”. The BBC approached Aquarius to assist in the filming of this episode. We created two purpose built Film Trucks. 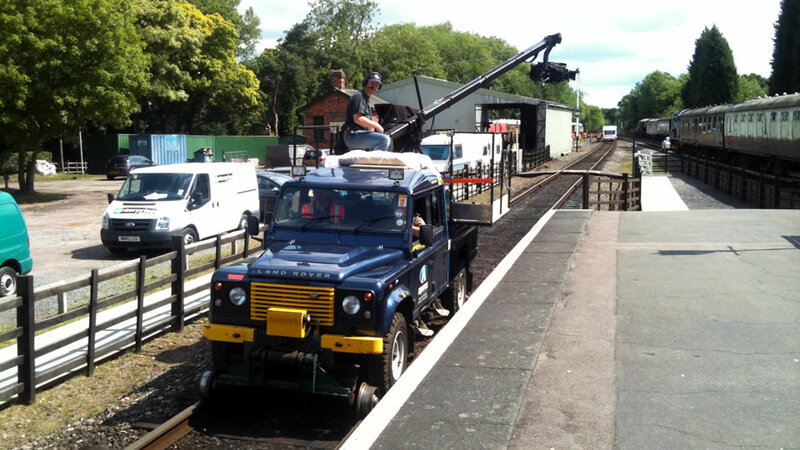 The Film Trucks included a bespoke platform on the back of the Land Rover to carry the camera crew and camera boom. We spent three days filming the action and antics of the presenters. Top Gear built a ‘sports train’ for high speed travel and a train of caravans, pulled by an Audi, that included 1st class, a buffet car and ‘scum class’. The show was filmed at speeds of up to 40 miles an hour. The Aquarius team thoroughly enjoyed taking part in the filming of this highly entertaining show. The opportunity showcased to the crews the usability of our RRV’s and we look forward to carrying out similar work in the future.